PANDORA have released this beautiful collection of family orientated charms for all those amazing Mums out there! If your Mother already has a PANDORA bracelet then this is the perfect addition, and if you’re looking for a special gift, why not start her off on her PANDORA journey with a starter bracelet and charm. Here’s our fabulous5 run down of the best Mother’s Day charms from PANDORA. To order simply call 0845 450 9334 and we can send your charm out to you for free, did we mention that we also do a fabulous free gift wrapping service? Well we do, so just let us know when you call that you’d like it gift wrapped. Or, if you’d like to browse the collection, pop in to one of our fabulous stores in Bath, Leamington Spa or Solihull or visit our Pandora store in Bath. This gorgeous new collection offers a selection of fabulous sterling silver charm with the addition of enamel, cubic zirconia and 14ct gold accents. There is something for every budget in this collection and is sure to leave a beaming smile on your Mum’s face this year. 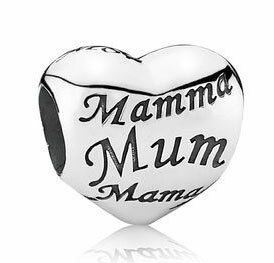 This stunning sterling silver heart with ‘Mum’ engraved in a variety of languages. Mother’s Day is celebrated all over the world and therefore it seems fit to represent this on such an iconic symbol as the heart. This charm is a true representation of your love and appreciation and reflects the true spirit of Mother’s Day. 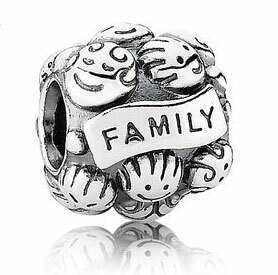 Among the sterling silver charms added to this collection is this adorable family charm. Within the 2012 Autumn/Winter collection, Pandora released a similar charm in a combination of sterling silver and 14ct gold. Whilst this was an absolutely stunning piece, we realise that this style is not to everyone’s taste (or budget), so Pandora have designed a full sterling silver charm. With various faces representing different members of your own family and the added detail of oxidisation, this charm is a great gift for Mum from the whole family. This collection sees the addition of a Limited Edition charm (oooooh)! 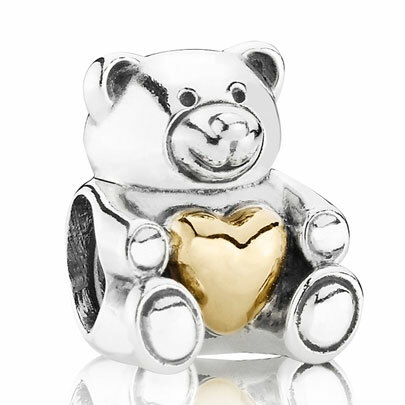 This teddy bear is absolutely adorable, made from sterling silver with the added feature of a 14ct gold heart. It is the perfect gift to show just how much you love and appreciate your Mum, and let’s be honest, who doesn’t love a little bit of gold now and then. Make sure you get in there quick though as once it’s gone, it’s gone! Along with the Limited Edition Teddy Bear, the new collection includes two more Teddy Bears, sporting some very adorable enamel bow-ties. With the option of a pink or blue bow, these charms are great little presents from the kids that Mum will absolutely adore. Another fantastic addition to this years’ Mother’s Day collection is the set of sterling silver dangly charms. 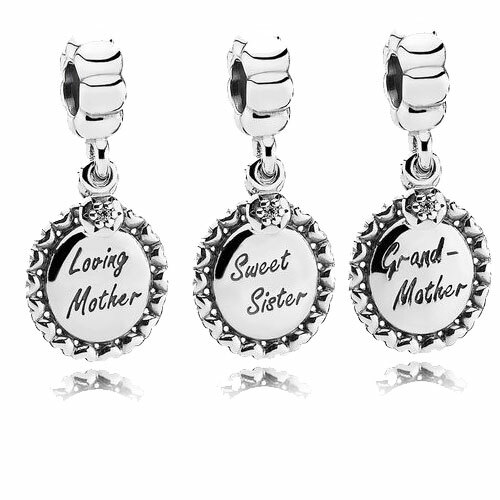 With beautifully engraved sterling silver discs accompanied by sparkling cubic zirconia, these charms come in three versions, Loving Mother, Grandmother and Sweet Sister. 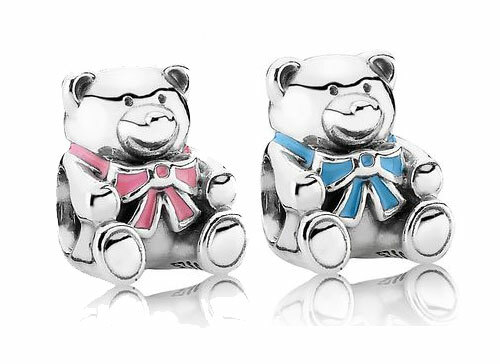 Yes, you did read that correctly, Pandora have finally released a Sister charm! With room on the back of the disc for your own personal engraving, these charms would make excellent additions to any bracelet. Mother’s Day is on Sunday 10th March, free delivery takes 2-3 days to arrive or you can pay £5 for Next Day Delivery! Chavin (pronounced sha-veen) works with SOS children’s charity reinvesting into Peruvian families and communities where they act upon helping with development and education and making a positive impact in this part of the world. 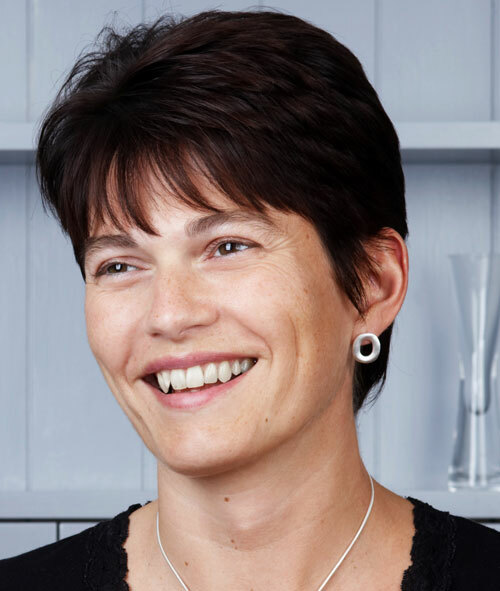 Ana De Costa, the award winning designer, says she is happiest when she is ‘creating one of a kind antiques of the future to be loved, worn and handed down from generations.’ She has won lots of awards for her work, and is regularly featured in Vogue and Vanity Fair, with names such as Angelina Jolie & Brad Pitt as some of her private clients. Chavin jewellery has many different collections, such as the Heart collection, Star collection, Bird collection and Jaguar collection, which all consist of bracelets, necklaces, earrings and rings that are made from Sterling Silver, 18ct Rose Gold Vermeil and feature semi precious stones such as Ruby, Blue Topaz and Pink Opal. These beautiful pieces are ideal summer accessories available in lots of bright colours and we can’t wait until they arrive! The Spring Fair is the best way to see some amazing jewellery and for showcasing this year’s hottest trends, colours, and patterns! What caught my eye from the off was COLOUR! It was everywhere! Many designers have introduced wonderful turquoises, blues and greens to their collections to give a real summery feel! Whilst looking at Missoma’s new collection I noticed a lot of Aqua and Blue Chalcedony, which had organic and stylish shapes to them to create a fresh, light, and easy to wear look which is perfect for a summer holiday! Pandora have introduced two new faceted glass murano’s in teal and sea blue, which will go perfectly with a classic bracelet and teamed with a few silver charms in between! The great thing about beautiful shades of blue and green is that they compliment all colours, so whether you’re a gold or silver kinda gal, you can include these new shades into your current collections. Animal trends in jewellery, and in particular the elephant, is still a strong theme. The elephant is a symbol for strength, and Daisy continues to feature this in their Karma collection as well as the new Halo collection, & features in Blossom Copenhagen’s classic and feminine designs & Missoma’s Ark collection. I was very much looking forward to seeing what this year’s Spring Fair had to offer, and it was apparent that charm bracelets are still as popular as ever across all collections this year, with each designer taking this popular concept and adding their own twist. I spotted a lovely wrap bracelet as I admired the many collections that could also be worn as a necklace, with a choice of interchangeable charms and gem drops for a real versatile look. Trollbeads continue to do an excellent selection of glass beads in every colour you can think of, an important aspect for this designer which others may lack. 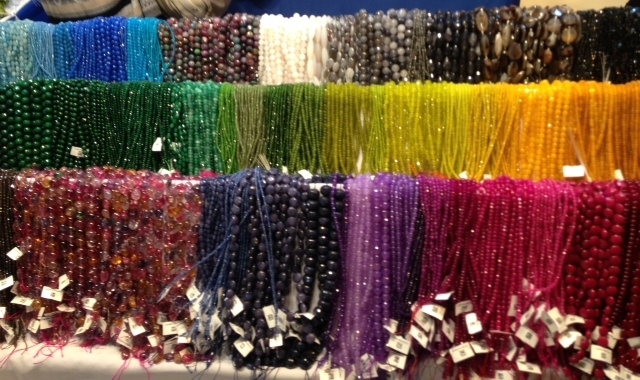 I also looked at Chamilia’s collection, a brand not stocked at fabulous but well known for its charm bracelet. This collection could appeal to younger generations as unlike similar designers, Chamilia are licensed to carry Disney themed charms, however I think they lack the desire and appeal that other charm bracelet brands carry off so well. Nomination still stand alone with their unique take on the classic charm bracelet. 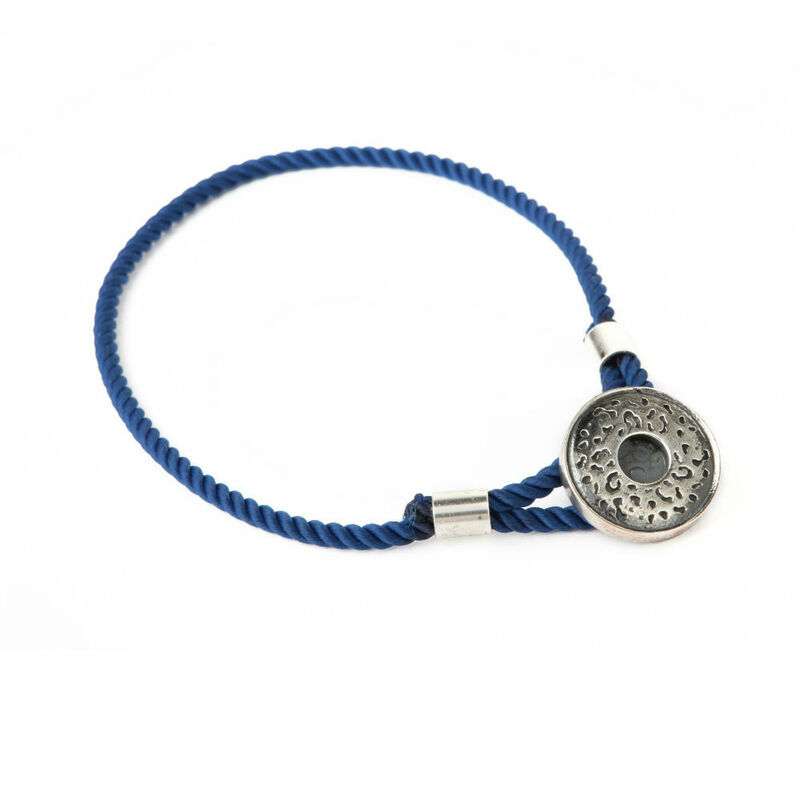 Made from Stainless Steel, Nomination charms are linked together using a spring system to create a band of charms. This unique design sees Nomination stand out as a designer and has long been a best selling collection here at fabulous! But despite the competition, Pandora is still one of the most popular designers when it comes to charm bracelets, and I am a huge fan as I believe the quality and style is second to none. I have now had my bracelet for 3 years and I still get excited when they bring out new charms! I was lucky enough to see their newest collection and I have to say that it is the most commercial collection to date! I for one am very excited about the new charms and jewellery pieces and have already decided what I will be adding to my growing collection! 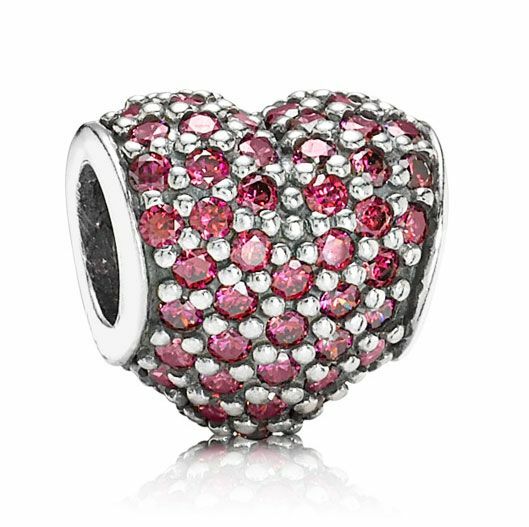 In my opinion Pandora are just as fabulous as ever and at the top of charm bracelet designs! 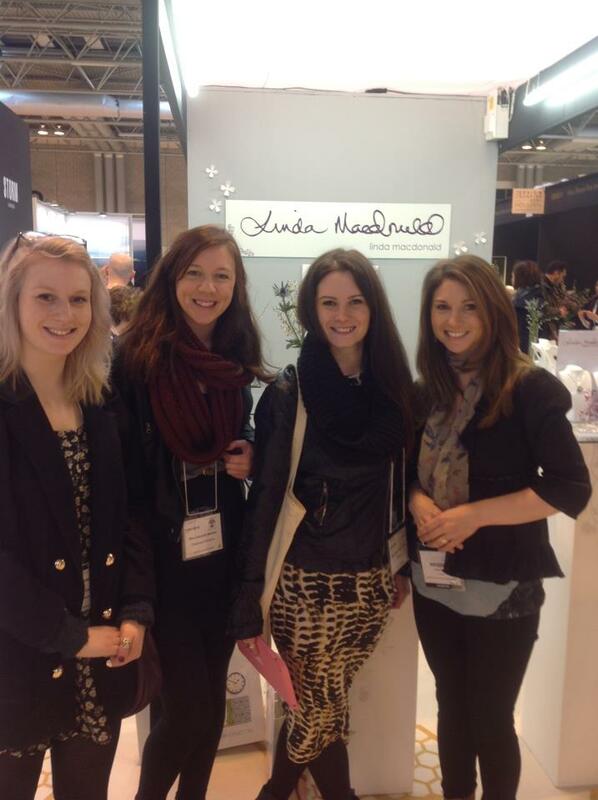 The next big thing to hit the jewellery industry? Interchangeable pendants! Walking around the Spring Fair it was clear that the new craze is this inspiring design that allows you to easily change the look of your necklace and was the key focus in design in a huge number of collections. One designer that we all loved and who we think has taken the concept of interchangeable pendants and produced it just perfectly is Nikki Lissoni – a new name for fabulous and a collection we are eagerly awaiting to arrive in store! The great thing about this collection is that you can change the coin inside the pendant to suit your mood or style, letting your personality shine! Nikki Lissoni’s range allows you to choose from a collection of chains in many different styles and lengths. You then need to choose a carrier which comes in 3 different sizes depending on whether you like big jewellery or prefer something a little smaller. 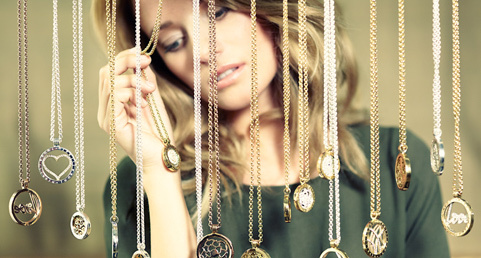 All of the chains and carriers come in sterling silver, gold plating and rose gold plating. With the composable option you can choose whether you want your necklace completely silver or whether you want to mix it up a little! After falling in love with this design I am already the proud owner of a Nikki Lissoni necklace – personally I love the combination of silver and rose gold so I chose the silver necklace with a rose gold carrier – giving myself the option to wear either silver or rose gold coins. I absolutely LOVE my Nikki Lissoni necklace and I know you will too! Watch this space….! These Lulu Guinness watches are a fabulous favourite, so they had to be in our fab5! Lulu’s signature lips are emblazoned across these watches making them the perfect Valentine’s Day present. Choose from a variety of designs, from pastel candy stripes, to this seasons monochrome and on to bright and kitsch designs. We were delighted to be one of the first stockists of these fabulous watches and have one of the biggest selections online – so have a browse. Valentine: For someone who loves quirky British design and loves fashion. She’s playful, chic and stylish. Everyone at fabulous loves the Blossom collection, even those who don’t usually like delicate, romantic jewellery – but Blossom have created a collection that is easy to fall in love with! The delicate, modern and romantic designs make the perfect gift for Valentine’s Day and you can choose from traditional romantic symbols, like hearts and keys to stand alone pieces like the intricate bird houses. Valentine: For someone who loves romance and sentiment. She’ll still have the cinema tickets from your first date! fabulous Valentine tip: There’s nothing more romantic than a gentleman fastening your necklace for you – so give her the necklace just before you go out, when she’s all dressed up! Composeable jewellery is an ideal gift for Valentine’s Day and we love the thousands of charms you can choose from Nomination. You buy a bracelet (made up of 19 links) with a starter link (prices start from just £25 for a full bracelet) and then add to the bracelet for every occasion. You can choose from hearts, flowers and initials, to dates, travel destinations and hobbies. You could also pick one of our ready-made starter bracelets like above, with cupid, two hearts and an initial of your choice. Valentine: She’ll love fashion and probably already have quite a bit of arm candy (this means several bracelets she wears daily), she’ll also be sentimental and remember special occasions. fabulous Valentine tip: A week or month later surprise her with another link for her Nomination bracelet, just because you love her and it doesn’t take Valentine’s Day to tell her that! The great thing about composeable jewellery is you can add to it on every special occasion, building a fabulous history of your relationship – each and every charm will be special to her. Valentine: She’ll like one-of-a-kind pieces, be creative and sentimental. fabulous Valentine tip: Thomas Sabo do a great jewellery box, why not get her one to house her collection. These fabulous watches have proved very popular across all of our stores. The current sponsors of the hit ITV show Take Me Out, Ice has risen sharply to fame and has become the watch brand to wear. These quality watches at an affordable price are perfect for the season of love, available in Bright Pink and Purple as well as cool Ice White with crystals – these are the perfect watches to be seen in! fabulous Valentine Tip: Why not buy your special someone a bouquet of flowers to match the colour of the watch – that should earn you some serious brownie points! As a genuine Thomas Sabo retailer we’re always one of the first stores to get their new collection – and this season is no exception! We are so excited about the brand new Thomas Sabo collection we can’t keep it quiet, so we thought we’d give you a sneak peak of what’s to come right here! Special Addition has always been a fabulous favourite, but this season they’ve really spoilt us. Turquoise is a key stone throughout the collection (which is oh so summery and bang on trend for next season) mixed with bright Sterling Silver, rich Yellow Gold and deep Rose Gold – the colour combinations are truly fabulous! This summery, boho collection consists of beautiful filigree discs, hamsa hands and sun details, in fact this collection feels straight off an Ibizan beach. There are also a beautiful collection of letters in Gold, Rose Gold and Sterling Silver, so you can wear the initials of your loved ones close to your heart. Alongside the composeable jewellery is a beautiful selection of earrings and rings to compliment the Special Addition range. Our Thomas Sabo collection has arrived in store, is being uploaded to the website as we speak and will be ready to shop in a matter of moments! Keep an eye on Facebook, Twitter and the website for the latest news – we’ll let you know the second you can get your hands on this beautiful brand new Thomas Sabo collection. Well, this month has just flown by! We’ve been busy busy here at fabulous and we can’t believe it is February already! We’ve been making changes to our website to make it easier and more fun for you all to browse and shop, particularly our Thomas Sabo page which can now be shopped by collection making it faster for you to find your favourite Sabo pieces! With lots of beautiful jewellery to choose from, we want to make sure that you don’t miss any of your favourite designer jewels, so if you’ve got any advice on how we can improve our pages then do let us know! With new collections already in from Swarovski, Blossom, Pandora and Nomination and plenty more on the way, we have new season jewellery that is simply irresistible and ideal for gifts this month! But of course, we cannot forget a certain day of the month which is creeping ever nearer – Valentine’s Day! We love a bit of romance here at fabulous and we have absolutely loved reading your ‘perfect proposals’ that you’ve shared with us! We will get them up on Facebook shortly for you to swoon over! For a meaningful and personal gift for a birthday this month, you can’t go wrong with Thomas Sabo’s ready to wear birthstone bracelet! The official birthstone for February is Amethyst, a beautiful gemstone of purple shades. With its royal hues, the Amethyst is often known as the ‘Bishop’s Stone’ and it is believed that wearing this stone will bring wisdom, knowledge and spiritual guidance to increase positive energy! Thomas Sabo’s Amethyst coloured cubic zirconia is set in Sterling Silver and hangs from a Freshwater Pearl Bracelet complete with a love knot for an adjustable fit. This bracelet can also fit two other charms, so charms can be added later on or if you are feeling really generous then go for three charms together! Spinning, Nomination and Pandora also feature the Amethyst stone in their collections, as well as Zodiac signs for all the February babies with the sign Pisces or Aquarius! Get some inspiration here for more ideal gifts for birthdays this month. Our favourite latest arrival has to be the A La Folie Valentine’s Watch from Swatch! A limited edition piece from the Spring/Summer collection, this watch is fun and flirty in pink and white with a heart display! Priced at £44.50, this is an absolute must-have this season and an adorable Valentine’s Gift! Keep watch on our Facebook page for our Valentine’s competition coming soon!